Ford fanatics have been waiting for this new tailgate option for Ford 1951-72 Flareside trucks. 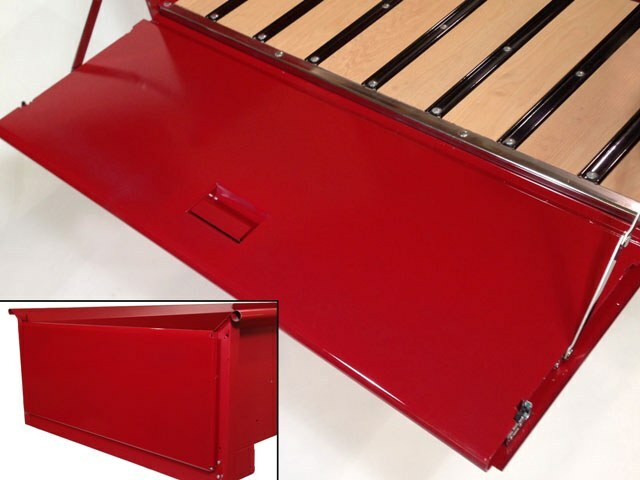 Mar-K’s new tailgate with stainless links uses an inner handle much like the new Fleetside-style trucks to open and close the back of the bed. The handle is inside the bed so the outside has a clean, custom look. The tailgate is perfect for those who don’t want the tailgate chains, which are noisy and sometimes damage the paint finish. You can choose zinc-plated steel or stainless steel for the link assembly that is included with the tailgate. Mar-k includes the other parts you need to convert your current bed sides to work with the latching mechanism and links.